Return to the InterfaithFamily Guide to the High Holy Days. Although Teshuvah is really the “big idea” of the High Holy Days, another important theme of these holidays is the celebration of the Jewish New Year. Rosh Hashanah, the first of the High Holy Days, marks the beginning of a new Jewish calendar year. It’s actually celebrated for two days in most, but not all, Jewish communities. Judaism has been around a long time, so according to the Jewish calendar, the current year at the time of the publication of this guide is 5775. The mood of the Jewish New Year is a mix of reflection on the year that has just ended, hope for the year that’s begun, gratitude for the goodness in our lives, and general celebration. Ten days after we celebrate the Jewish New Year, we gather together again for the Day of Atonement (Yom Kippur). “Atonement” means acknowledging our misdeeds during the past year, looking for opportunities to apologize or make things right and asking God for forgiveness and a fresh start. It’s the holiest day of the Jewish year, and most Jewish people who participate in any Jewish holidays, regardless of personal religious beliefs, participate in observing Yom Kippur in some way. 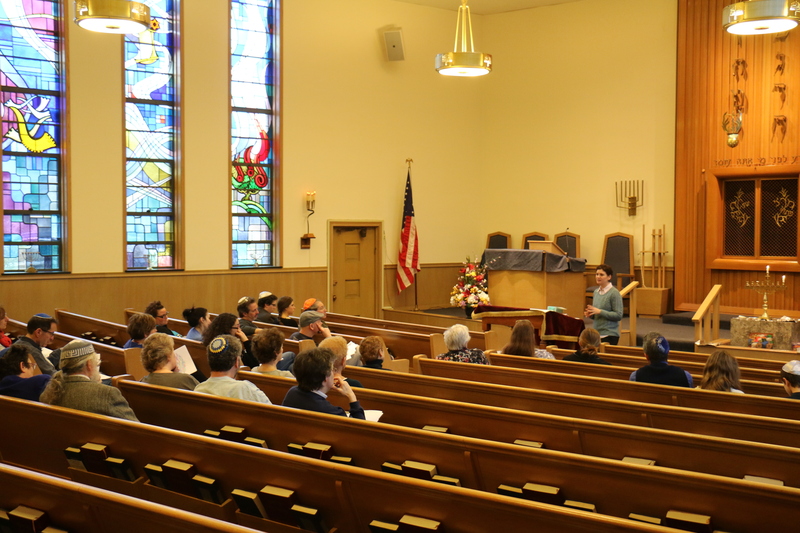 Many take the day off work and/or attend at least one of the synagogue services of the day. All Jewish holidays begin at sunset, so when the sun goes down to begin Yom Kippur, the next 24 hours take on a focus of gathering with community to acknowledge our wrongdoings and seek God’s forgiveness together. There are many special, well-loved Hebrew prayers and melodies sung in synagogue on Yom Kippur, and many adults in the community follow the practice of fasting (abstaining from all food and drink) for the duration of the day, from sundown of the night it begins until the sun goes down the next day. When the sun finally sets at the end of Yom Kippur, the mood shifts from somber self-reflection to joy and release. Some families and synagogues prepare delicious meals to break the fast (more on this, including recipes, in other sections of this guide). The InterfaithFamily Guide to the High Holy Days is also available in PDF.